"Mister!" He said with a sawdusty sneeze, "I am the Lorax. I speak for the trees." The original eco warrior, the Lorax's message rings loud today. 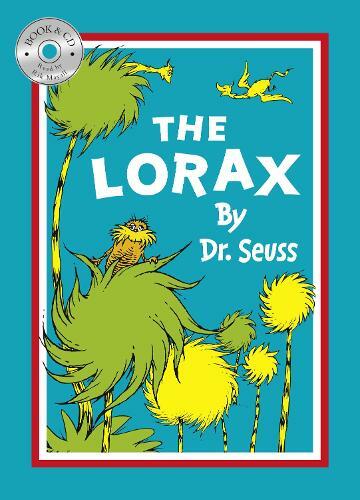 In this fable about the dangers of destroying forests, he tries to save the Truffula trees from the greedy Once-ler. Includes a CD performed by the hilarious Rik Mayall, with music and sound effects. The Lorax is a hilarious story full of Dr. Seuss's typical zany humour and silly rhymes, and its ecological message packs a punch without feeling heavy-handed or worthy. The Dr Seuss blend of zany pictures and unique rhyme, rhythm and repetition mean that all ages will love and learn from this wonderful book.